Batman Day is Saturday, September 26th! 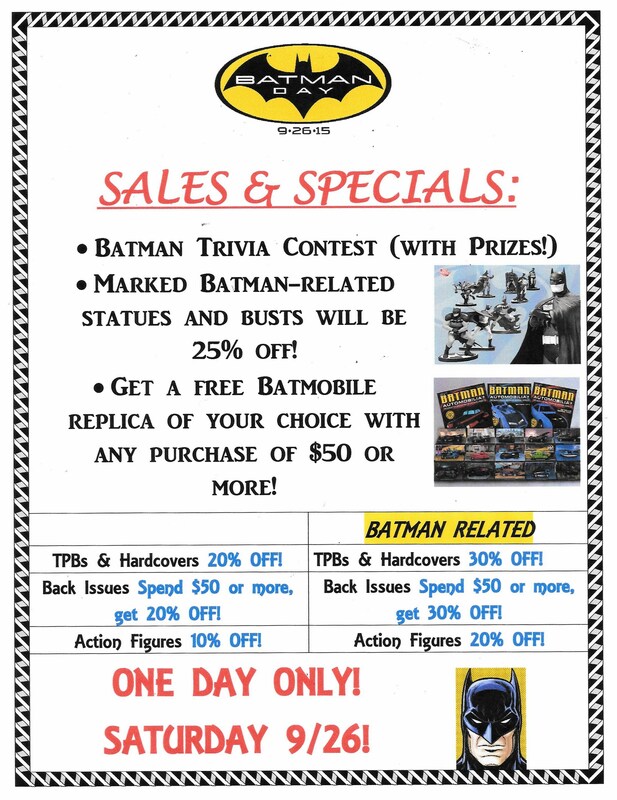 Royal Collectibles will be having sales & specials all day on Saturday, September 26th, to celebrate Batman Day! Check out our flyer below, plus more sales and events will be added during the days leading up….you’ll definitely want to stop by if you’re a Batman fan! This entry was posted in General Info on September 14, 2015 by admin.